After graduation from Brown University in Providence, RI, Karen Stevenson Brady wanted to fulfill her life-long dream of owning a Golden Retriever. However due to career obligations (Sales/Marketing Management Positions Proctor & Gamble, Head Sportswear, California Labs) she did not purchase one until she and Pat married. We purchased our first Golden Retriever from reputable Breeders, the Ryskas, California. 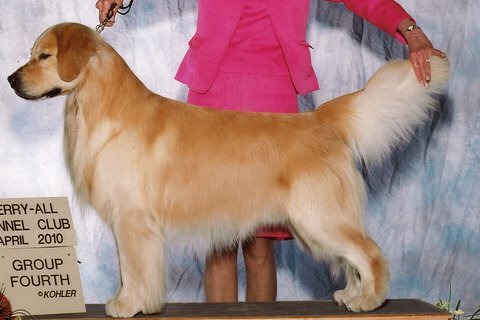 KaraGold Goldens was founded in 1987 out of that deep love for the Golden Retriever breed. 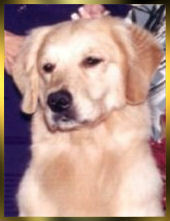 Relocating from Northern California, Florida is now home to KaraGold Goldens. 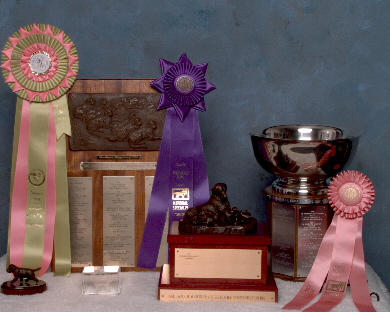 We have been showing and breeding quality show/pet Goldens for over 30 years. Health, temperament, and adherence to the triple purpose of our Breed Standard are of the utmost importance in our breeding program. 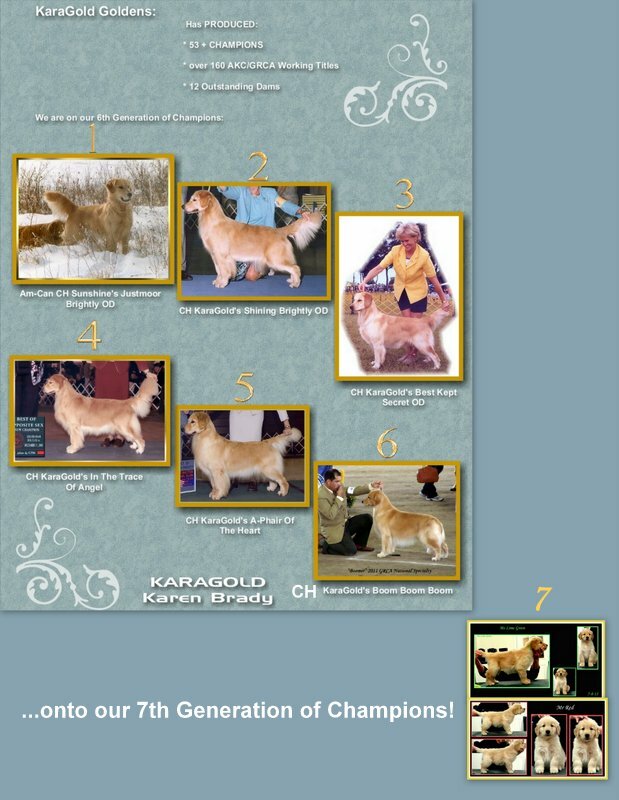 KaraGold has produced over 70 Champions, that of which 67 + Championswere bred by KaraGold & produced160+ AKC/GRCA Titles. More importantly, as serious Hobbyist Breeders, we are most excited having produced 17 Outstanding Dams and 4 Outstanding Sires.CH KaraGold's Best Kept Secret OD was behind at least five pedigrees of 2014 Top 20 Golden Retrievers! KaraGold is now onto the 7th generation of Champions!, including a Best In Show, several OTCH's, MH, OD's ,TDI's and many multi-titled produce. Our pedigrees boast generations of hip, elbow, heart, and eye cleared dogs, not to mention beauty and intelligence. And most important...KaraGold Goldens' great temperaments are the essence of the Breed! 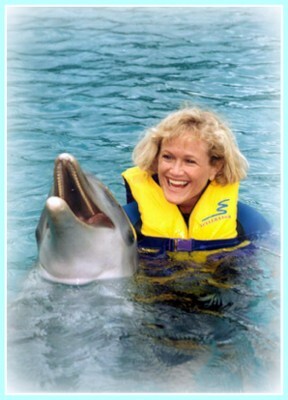 Karen & Patrick have two wonderful grown children. Please feel free to step in and have a look around. CLICK HERE TO READ MORE ABOUT WHAT MAKES KARAGOLD PUPPIES SO SPECIAL! He earned 18 SDHF Pts in one weekend! The Goldens of The Sea! Do not copy or reproduce any photo or graphic on this site without permission.